LXLE 16.04.3 on 32GB USB Drive | Linux DVD Shop - UK Linux Shop supplying Linux on CD, DVD and USB with Free UK Delivery, 24Hr Dispatch. 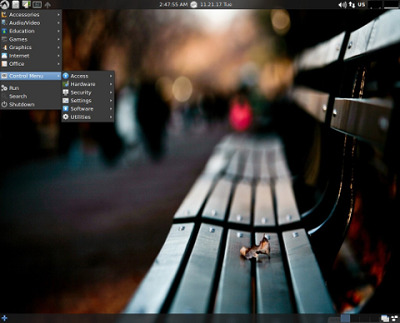 LXLE is a superb looking distro based on Lubuntu which is an Ubuntu OS using the LXDE desktop environment. It is designed primarily for older computers. It's intention is to be able to install it on any computer and be relatively 'done' after install, which in itself is a very simple process. Key features include multiple desktop styles with Windows and Mac OS X styled themes amongst others. LXLE can be run "Live" from the DVD and memory or fully installed alone or alongside another operating system such as Windows. For users migrating from Windows XP, LXLE offers a great opportunity for a seamless transition to Linux. LXLE has full multimedia support for video and Youtube and is feature packed for a lightweight distro. Programs include Firefox, LibreOffice, GIMP and Steam alongside many others, with a suite of pre-installed packages amongst the best seen distros.